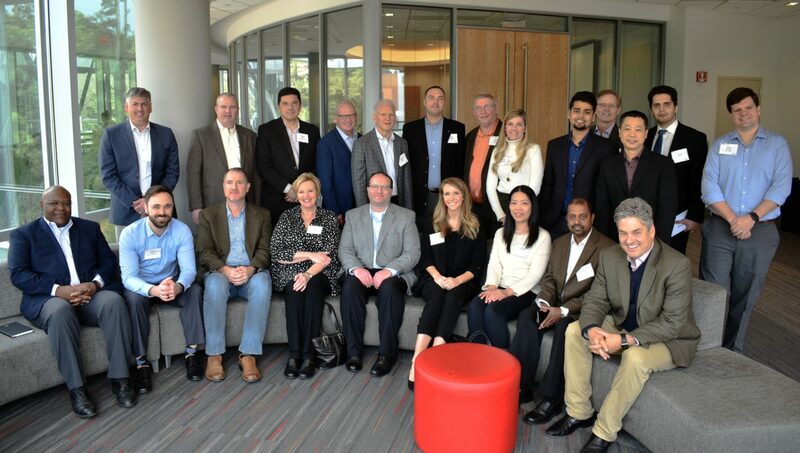 January 31, 2019 | Robert Handfield Ph.D.
On January 29th, the NC State Supply Chain Resource Cooperative held a one-day workshop, bringing together executives representing a number of industries, including Lenovo, UPS, Duke Energy, Toshiba, Caterpillar, YUM Brands, American Red Cross, MetLife, and IBM, to compare notes on how the digital transformation is occurring within their organizations. The intent of this executive forum is to bring together supply chain executives to engage in an open discussion of how analytics and AI can be used to create competitive advantage in the organization. 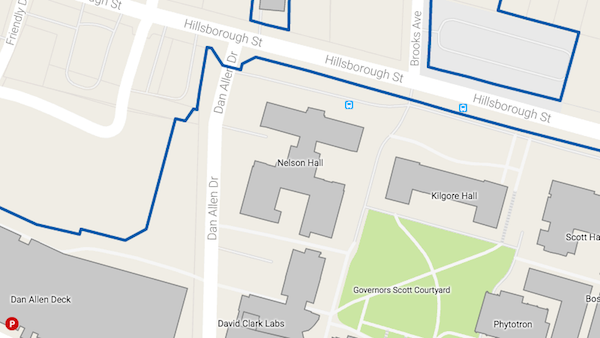 We also shared results from the recent report completed by IBM and NC State on the current state of data analytics and Artificial Intelligence. The discussion focused on the organizations are exploring how to build a digital transformation, and find ways to exploit the many technologies that abound. These organizations are setting aside budgets for investment in upgrading their analytics capabilities, hoping to find the solutions that will enable the application of predictive analytics, artificial intelligence, and business intelligence. Very often, companies are investing in cloud-based computing, data warehouses, business intelligence dashboards, and multiple other forms of software and hardware investments. But the truth of the matter is that digital transformation can’t be acquired “off the shelf”, installed on top of your ERP system, and create an analytical capability! The real changes that will take place will require far more investment in people – and specifically, working on new and emerging ways of using data for improved decision-making. This will require a lot of experimentation, and proof of concept work before the real path ahead becomes apparent. To explore how to adapt to these approaches, the participants went through a discussion on these key points. At the outset, it became clear that almost all the organizations are in a nascent stage of development, and are only starting to think through how to organize and establish a digital transformation of their supply chain. Some of the key observations involved thinking through how to start with a five-year vision, but to ensure that the approach involved consists of how to construct the different parts of the offering to enable immediate return on investment. Not having a clear view to an ROI will likely not succeed, but the measures for doing so cannot be limited to only improved cost and efficiency and may need to involve customer-driven initiatives. In exploring this approach, we introduced the metaphor or building a bridge vs. growing a garden. Building a bridge requires years of planning, and you can’t begin to even use the bridge until it is 100% completed, and every stone is in place. This is equivalent to deploying a major ERP system like SAP. On the other hand, developing an analytics and AI capability is more like growing a garden, in that it is a long-term vision, but can be created in a series of small projects. It begins by laying the soil, which is equivalent to establishing a good data governance foundation. Then one can begin to introduce new plants, create a stone path, perhaps a small wooden bridge, etc. As one adds each new portion of the garden, it begins to take shape, and organically begins to come together. Also, you can see the results of your work immediately, and begin to enjoy the different elements of the garden right away. In a similar manner, organizations should stand up an analytics function that can work on small projects that provide immediate benefit, whilst moving towards a long-term vision for the growth of the garden. Pilot projects need to consider the return on investment, but not just on cost and efficiency-focused measures. Rather, companies would consider applications that will provide new capabilities that customers will value. Projects that focus on increased speed of decision-making, increasing asset velocity and creation of new performance analytics in real-time beyond what is available today are examples of bold new capabilities that are important to customers. To set the “foundation of the garden”, trusted data is critical. The results of our analytics study suggest that 75% of respondents believe their data is not in good enough shape for an AI application. Although analytics represent an opportunity for managers to make effective data-driven decisions, based on a summary of relevant, trusted data, often using visualizations in the form of graphs, charts, or other means. This definition begins by assuming that data used in visualization is representative of the reality of conditions in the business and that the data represent the best-known measures of the condition managers wish to evaluate. To be trusted, measures of data include accuracy, completeness, timeliness, consistency, and uniqueness. Several individuals noted that it is important to jump in and not wait to engage in a blockchain, AI, or IOT initiative. And yet, the “chicken and egg” problem arises – can we do so if we don’t have good data? Companies who take a “wait and see” stance will quickly fall behind, because an important component of creating an analytics culture involves jumping in, trying out different approaches, determining what works and what doesn’t and learning to fail fast and learning from these failures. Companies who have moved aggressively are taking an agile approach to deployment, and jumping in on blockchain, AI applications, and IoT pilots to determine what might work and what would not work. When evaluating potential pilot projects, consider those that have the quickest return on investment, and which can begin by creating the greatest value right away. Consistent with the garden metaphor, you want to create analytic products that you can begin to enjoy and derive value from right away. One of the big opportunities includes the application of blockchains. Rather than open blockchains, several participants mentioned that enterprise blockchains were not difficult to begin to pilot and that they could provide a secure means of sharing information, provided that trusted partners were part of the chain. The blockchain could be used for specific instances where speed and visibility of information are needed, and as such, it is important to pick the right types of projects for blockchain. Practical approaches that have an immediate effect, and which can capture information, contextualize it, and convert it into actionable decisions are at the top of the list of criteria for consideration of such applications. Another way to select projects is, to begin with a specific pain point in the supply chain, where operational inefficiencies are slowing it down considerably. The goal in such cases is to construct the most trusted supply chain in the world, one that has the fastest free cash flow, and which can quickly respond to changes in customer demand, supply situations, and operational problems. In other cases, the need to capture customer point of sale data, in a retail environment, and quickly use that to shape commodity purchasing, advance buying, risk management, and other strategies on the supply end may be the motivating factor. One of the problems identified is that although there is a mountain of data, managers often don’t know how to convert data into actions. This requires having the right skill set – or alternatively, being able to simplify the mountain of data to a few key signals and indicators that provide clear directions on what to do to managers and employees located in different parts of the supply chain. This is much easier said than done – but is one area where AI can be used to rapidly access lots of data and convert it into a simple set of indicators. Blockchain and AI can also do much to improve sustainability initiatives. For instance, being able to track where a food product originated for purposes of food safety, or whether conflict minerals are part of a product, is a promising approach. However, this will require a much more standardized set of data taxonomies that are broadcast up and down the supply chain and increased collaboration on how to create such taxonomies. This is likely to be something that will be much further in the future. An interesting discussion arose around what AI is and what it isn’t capable of doing. As discussed in prior blogs, creating an AI application requires a lot of learning and mistakes along the way. One characterization of AI is that it is a “thin layer” that can make connections, not something that will replace humans. Once supply chains can begin to collect data and organize it in such a way, AI can be used to speed up the organization, decode the signals, and create information that can be transmitted very quickly, that humans might otherwise miss. This decoding mechanism cannot occur on its own, as AI technologies need to have humans to help them to understand the context and meaning of the codes. Creation of AI is thus a long process, involving a lot of hard work and human training data sets for the machine to understand how to replicate their thinking. The learning process is incremental, and the tool becomes savvier over time. However, an implementation can take as little as six months if there is a dedicated team working on it. But once established, such AI applications can create enormous improvements, linking supply and demand more quickly, provide information on how to better predict usage and needs for products in hospital operating rooms, factory floors, and e-fulfillment centers, where the demand is occurring. This layer of information, that is unique to every company, becomes the essential competitive advantage upon which AI can be constructed. But the layer has to be trusted, leading us back to the data governance issue. Actual details going into specifics on how implementations were scoped, starting with mapping out of the entire supply chain/value chain, selecting applications, and constructing the AI/blockchain/IOT pilot. An open discussion of particular pain points, and discussion of common ground regarding how to overcome these pain points in retrospect. Also, discussions on how this technology would work/would not work in different situations. Student pilot projects, and outcomes of the research underway at the SCRC. Overall the insights derived from this workshop were unique, and we’d like to thank everyone for participating and sharing their insights.